Everyone, welcome John F. D. Taff to the blog. I’m featuring fellow contributors to Death’s Realm, of Grey Matter Press, with a short mini-interview to learn more about the talent involved, a preview of what we can expect from their story, and speculate on what lies ahead in the great beyond. My background is pretty heavily in writing. I was an English major in college and worked for many years in the magazine industry–marketing & sales, editing & writing, all the way up the ladder to publisher. I started writing fiction when I was in grade school, but didn’t get serious until around 1990. Then I started in on short stories and never looked back. I love to read and listen to music. I just got married to my wonderful fiancee Deb, and am father to three great kids and three great pugs. 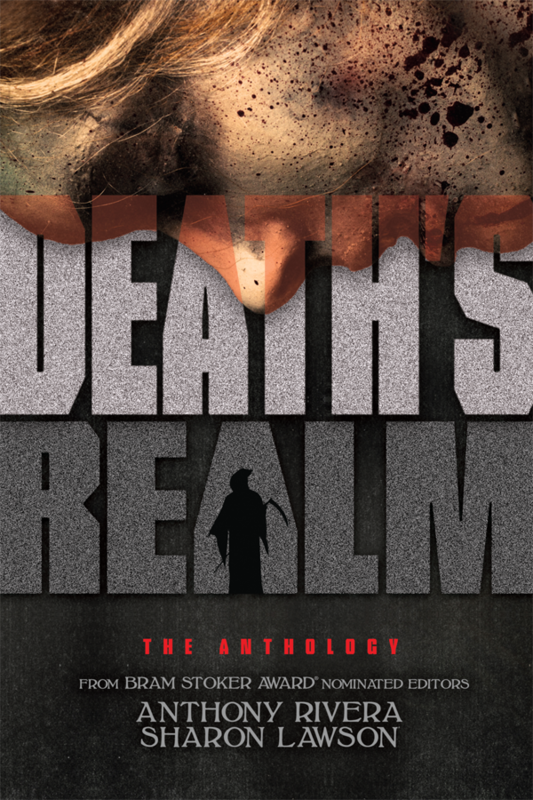 Gray Matter Press has released an anthology, Death’s Realm, featuring your work, “Some Other Day.” Give us a preview of your short story without giving away too much. “Some Other Day” is actually a rewritten version of an older story that I somehow lost. The idea stuck with me, about a boy’s unexpressed grief for his dead mother and how it affects everything around him. So I rewrote it, even before the call for Death’s Realm went out. Probably just what you need it to be, what you think it will be, at least for some time after you die. Until you get acclimated to what death really is, what it means. I think the afterlife we all sort of mentally go to is a cushion to protect us from a reality that is so much larger than we can contemplate. And I mean that in a good way…of course. We thank John F. D. Taff for coming by to share his thoughts. His more recent offering also comes to us by way of Grey Matter Press, the much acclaimed “The End In All Beginnings.” You can keep up with him at his website, here. This August I’ll be in Penumbra with the short story “Company Man.” There’s a blog post up at the moment where I wax rhapsodic over the nature of story telling.